If Google Chrome is the default browser of your Mac computer or your iPhone/iPad and you want to import Chrome bookmarks to Safari for your convenience, how can you make it? As an Apple user, you should know that Safari is the best browser for your Mac, which is faster and more efficient, so the sites are more responsive and your notebook battery lasts longer between charges. You can use the handy tools in Safari to save, find and share your favorite contents. Therefore, I also recommend you to import bookmarks from Chrome to Safari to take advantage of the amazing features of Safari. 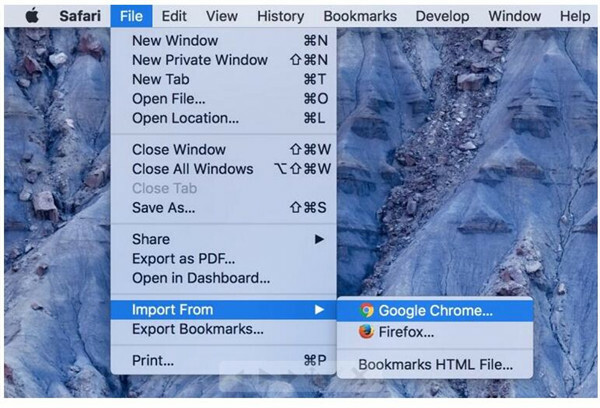 This guidance will show you how to import bookmarks from Chrome to Safari. Let’s have a look at the three ways. If you want to switch from Google Chrome to Apple’s Safari browser and would like to bring in your bookmarks. It is easy to transfer bookmarks from Chrome to Safari on Mac OS X. Just follow the instructions below. 1. If Google Chrome is your default browser, the first time when you open Safari on Mac OS X after you use Chrome, a notice at the bottom of the “Favorites or Top Sites” page asks you if you would like to keep imported bookmarks and history. 2. Your choices are: “Keep: Safari keeps your imported items; Don’t Keep: Safari removes your imported items.” You can just tap the option of “Keep” to sync Chrome bookmarks with Safari at once. 3. Besides, if you want to transfer bookmarks from Chrome to Safari later, you can go back to the “Favorites or Top Sites” page to import bookmarks and history at any time you like. 4. In order to see the “Favorites or Top Sites” page, you need to select “Bookmarks > Show Favorites or Show Top Sites” (the menu item alters depended on what you’ve selected in “General preferences” from the “New windows open with” pop-up dialog). Then, you can fix how to import bookmarks from Chrome to Safari easily. If you want to transfer bookmarks from Chrome to Safari manually, you can follow the steps below. 1. Select “File > Import From > Google Chrome”, then choose the bookmarks you want to import to Safari. You can do this at any time after you begin using Safari, even if you have imported items already. 2. Besides, you can also import a bookmarks file exported from Chrome. You need to select “Choose File > Import From > Bookmarks HTML File”, and then choose the file you would like to import. When you have imported bookmarks successfully, they will display at the bottom of the sidebar in a new file folder with the name starts with “Imported” and ends with the date. The specific steps of this method will be introduced in Solution 2 in detail. As you can see, you can fix how to import Chrome bookmarks to Safari both automatically and manually without any difficulty. Let’s continue to have a look at how to import Chrome bookmarks HTML file to Safari in detail. This part will illustrate the detailed steps to transfer bookmarks from Chrome to Safari. First, you need to export the bookmarks in Chrome. Next, you can import the exported bookmarks HTML file into Safari. Let’s check it out. 1. In the top-right corner of the window of Google Chrome, click the Chrome menu. 2. Choose “Bookmarks > Bookmark Manager”. 3. Tap the “Organize” menu in the manager. 4. 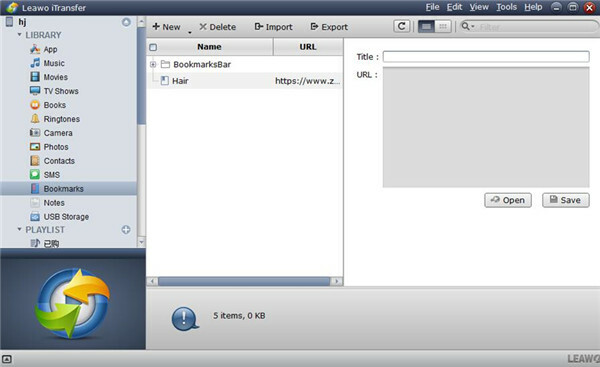 Choose “Export bookmarks to HTML file”. 5. Select the output path of the exported bookmarks HTML file, and I’d like to choose the desktop as the output position for convenience. 1. Open the Safari web browser. 2. Tap “File > Import From > Bookmarks HTML File”. 5. After you imported bookmarks, they will show at the bottom of the sidebar in a new folder with the name starts with “Imported” and ends with the date. Other than Safari on Mac OS, you can also import bookmarks from Chrome to Safari on iPhone/iPad. Then, you will be able to browse your favorite sites on your iPhone/iPad anytime, anywhere you want. We can take advantage of the HTML file after we exported them from Chrome to import bookmarks from Chrome to Safari on iPhone/iPad. And we also need a third-party program to help us make it. Here, I recommend you to use Leawo iTransfer for Mac to fix this problem. 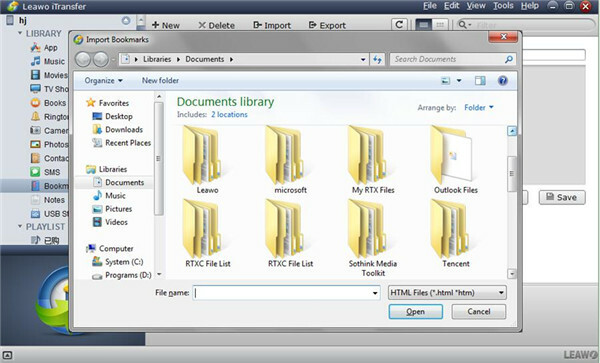 This program can assist users to transfer data between computer and all iOS devices. With Leawo iTransfer, you can easily sync Chrome bookmarks with Safari on your iPhone/iPad. Let’s have a look at the specific steps to see how to import Chrome bookmarks to Safari on iPhone/iPad using Leawo iTransfer. 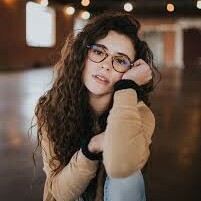 I’d like to take iPhone for example. Open Leawo iTransfer and then connect your iPhone to your computer with a USB cable. When the program recognizes your iPhone, click on it on the left interface and then select “Bookmarks”. 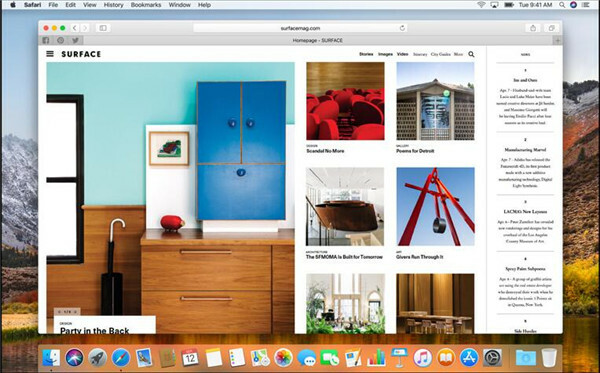 Click the “Import” button on the right window, on the pop-up window, select the Chrome bookmarks in HTML format and then click “Open” and the bookmarks will be imported to Safari on your iPhone. You can also use this way to transfer Chrome bookmarks to Safari on iPad or other iOS devices. Please refer to the detailed steps in the above. 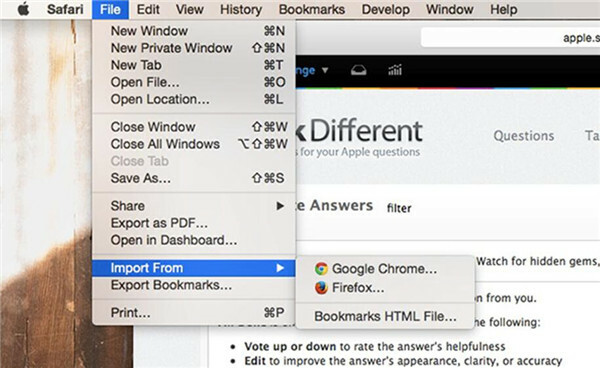 As for how to import bookmarks from Chrome to Safari, you can choose one method to help you. If you want to use a third-party program, I will recommend you to use Leawo iTransfer without hesitation. Now, you can have a try to see the effect. Also, you can refer to iTransfer to solve how to import bookmarks from computer to iPhone.